First thing is to remember is that the mechanical axis and optical axis in a budget scope will 99% of the time not match. This is true even in high end Classical Cassegrain with tight tolerances. I just wanted to let people know that it is not necessary to run out and purchase a Cheshire or Laser collimator to line up your new Classical Cassegrain. The telescope was set up at the factory and may be out of collimation due to shipping but can’t be off all that much. If your focuser is like mine with a built in tilt you’re going to throw the whole system out of whack collimating with it. Under the stars when testing you might have to totally undo everything that you did previously with those tools. Due to a slight tilt of the GSO focuser base to the focuser draw tube its best to forget using normal collimating tools like a Cheshire or collimation laser. Unless you machine the focuser base to match the focuser tube, replace the focuser completely or use the GSO tilt plate to correct the slight tilt of the focuser. 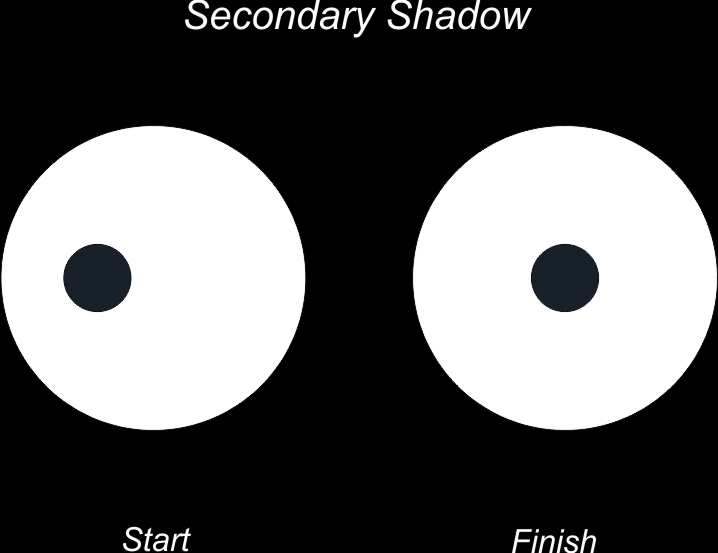 If using the latter, once lined up you must leave the focuser in the position all the time or you will compound this issue by turning the focuser on the scope. It also has to be redone every time you adjust the primary. I chose to machine the existing focuser which worked out quite well. NOTE: A fixed primary does not mean it doesn’t need to be collimated! All it means is that it doesn’t move to achieve focus! 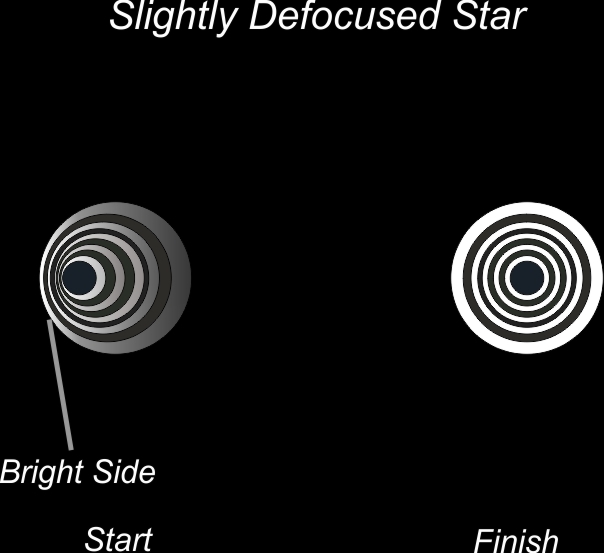 Do not use a star diagonal while performing this procedure; use a 4” extension tube in focuser. Diagonals can introduce their own set of problems. Center star (focused) in eyepiece and examine for any on axis coma, tighten the silver screw and loosen the lock screw at the same time on the bright side opposite of the flared side to eliminate most if not all the on axis coma. You can also loosen the silver screw and tighten the lock screw on the flared side if the screw matches orientation of flare. This is looking from the back of scope. Re-center again and repeat till gone. 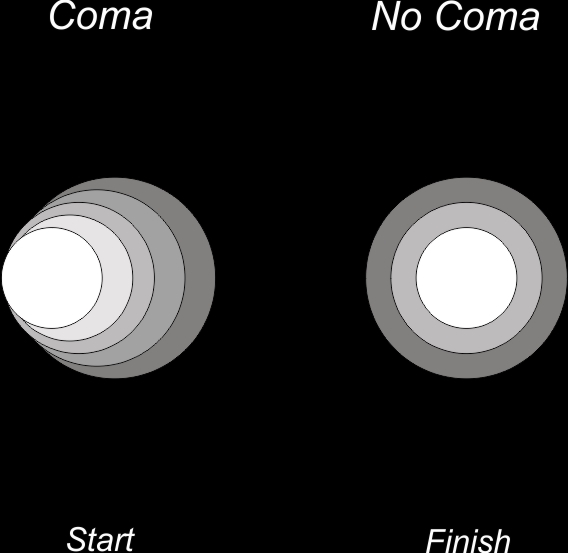 If you examined the star and you don’t have any on axis coma just go to the next step. Insert medium power eyepiece and slightly defocus outward on the centered star (not as much as secondary adjustment) you may see only a brightening of the outer ring, this is the side you need to tighten the silver screw and loosen the lock screw of primary mirror at the same time. You can also loosen the silver screw and tighten the lock screw on the duller side if the screw matches orientation of duller side of the outer ring. Tip: Look thru the eyepiece as you turn the silver and lock collimation screws and watch how the two interact with each other. Insert high power eyepiece and defocus outward. At this point you can probably start seeing the Poisson Spot in the doughnut; this will allow you to achieve a higher degree of centering using the adjustment Allen screws. 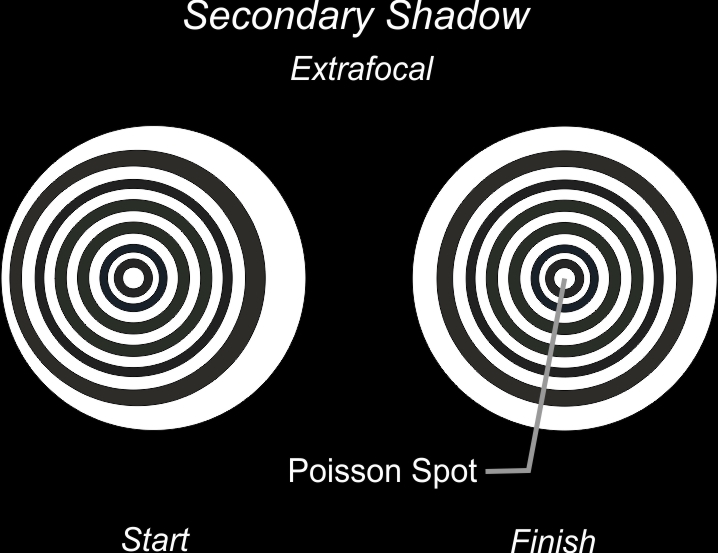 (Make the spot land in the center of the secondary shadow/large doughnut) You should be using an eyepiece equal to the focal length of the scope so a 12mm or so. 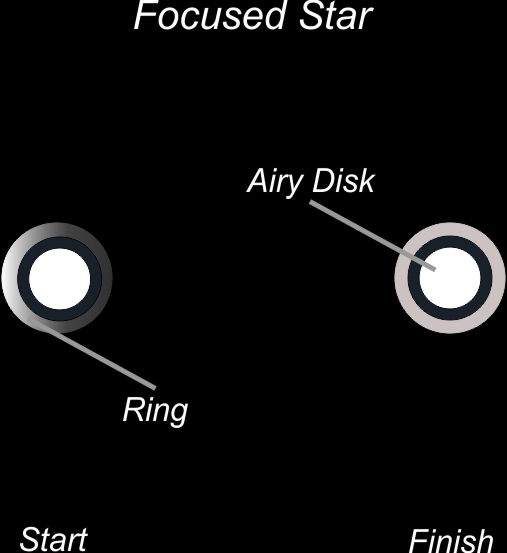 Now increase the power again by changing the eyepiece and observe a star at focus. You need to see the ring around the airy disc for this next step. (A night of good seeing is necessary). Look for any brighten of the ring and once again you need to tighten the silver screw a tad more on the bright side but don’t touch the lock down screw. Loosening the lock down screw will make too much of a movement. Double check secondary but all should be good as the last turn on the primary screw should have been like 1/64th of a turn. If not adjust and you are collimated! this sure beats the instructions provided by orion telescopes. haven’t seen any yet from agena/ astronomics.